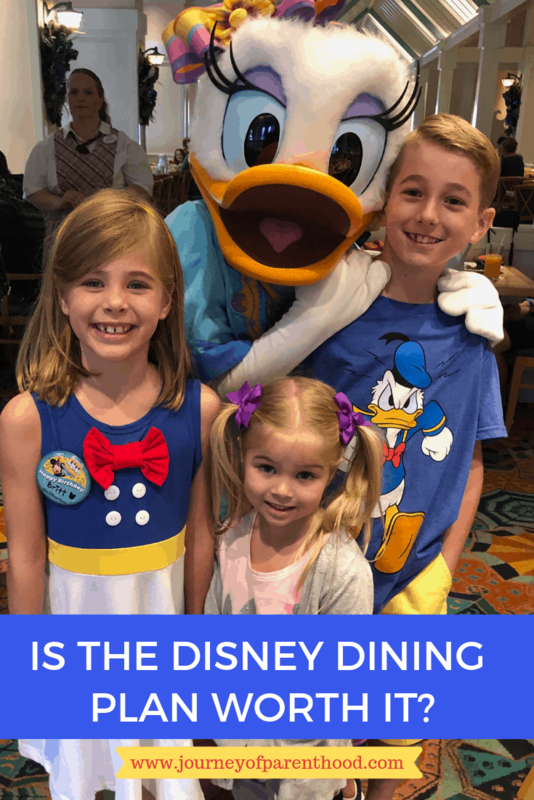 The Disney Dining Plan can be one of the most overwhelming parts to planning a Walt Disney World Vacation, but it can also be one of the best parts if you know how to navigate it well. Who can use the Dining Plan? Only guests staying at an on-site Walt Disney World Resort can take advantage of the dining plan. It is based on package stay, meaning it’s an all or nothing offer. All guests or no guests get the dining plan, and it’s for all nights of your stay or zero nights of stay. Children under the age of 3 are not included on the plan, but are allowed to eat off of parents plates and at most buffets are allowed to have their own plate. 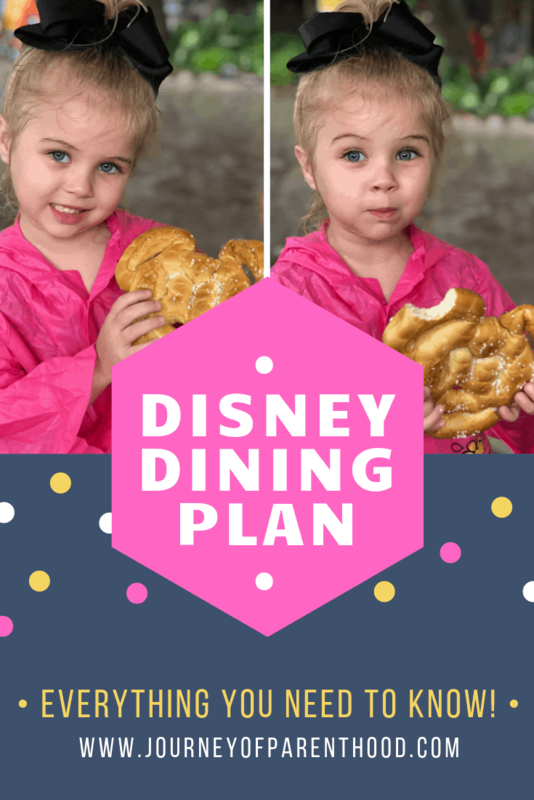 What is included in the Disney Dining Plan? There are three different dining plans: The Quick Service Plan, The Disney Dining Plan, and The Deluxe Dining Plan. 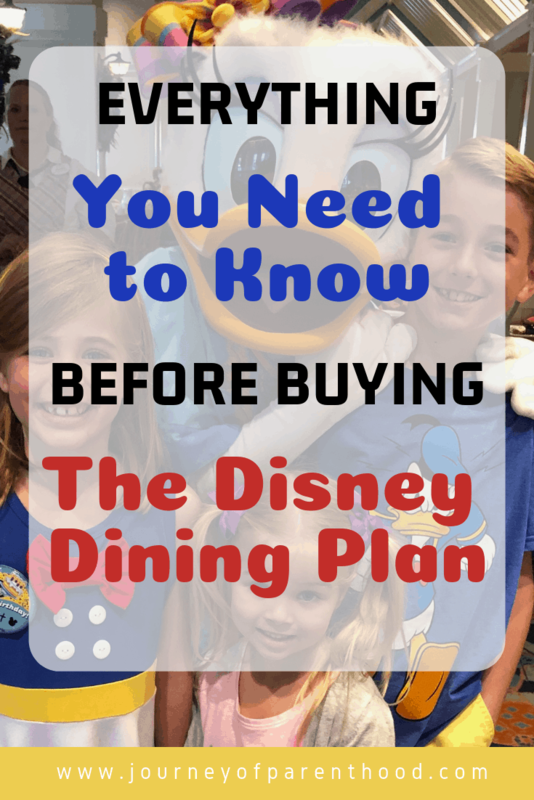 By far, the most popular plan is the Disney Dining Plan (sometimes called “Plus Dining”). Check out my personal favorite WDW Snacks here. Each guest on the dining plan will receive a souvenir mug that is refillable at drink stations located at Quick-service restaurants at each Disney resort. They are NOT refillable in the parks other than water. I really like to start my day with a fresh coke before hitting the parks, so we will typically visit the drink station on our way out of leaving the the resort for the morning. (Disney has the BEST Cokes!!!). – Gratuities are not included except for dinner shows, private in-room dining, and Cinderella’s Royal Table. An automatic gratuity will be added to all parties of 6 or more. – Items that are considered as merchandise (things like bottle toppers, glow toppers, bottle straps, etc). 1. When you get to the check out counter or are first seated, present your magic band or card to the Cast Member at participating restaurants. 2. Specify the number of credits being redeemed. 3. If you plan to pay out of pocket for any portion of the meal, make sure you tell the Cast Member about it up front. 4. Feel free to ask a Cast Member for help if you need help understanding what’s included at that particular restaurant. It’s not a secret, and they are happy to help you understand! You might feel like you’re getting away with something because it includes SO MUCH FOOD, but it is all included in your plan, just ask if you need clarification. You can redeem and use your snack and dining credits in any order during your trip that you’d like until the TOTAL credits for your stay have been used up. All unused meal and snack credits and your refillable mug will expire at midnight AFTER you checkout from your resort. 1. Remaining credits are printed at the bottom of your dining receipts, so make sure you save and check those. 2. Check in with the front desk at your resort or guest relations and they can help you. 3. You can now see your credits on your My Disney Experience Account. Just look in “My Dining Plan”. – The portions at Disney are LARGE. You are allowed to share at restaurants that do not include buffets, family style meals, character dining, or dinner shows. – You can use your snack credits at Starbucks, including their largest sizes and you can add any extra syrups, pumps, or whipped cream for no additional charge. – If you end up with remaining credits at the end of your trip, you can stock up on bagged candy and treats to take home with you. We almost always have remaining credits and use them for Christmas stocking candy, Easter baskets, etc…. 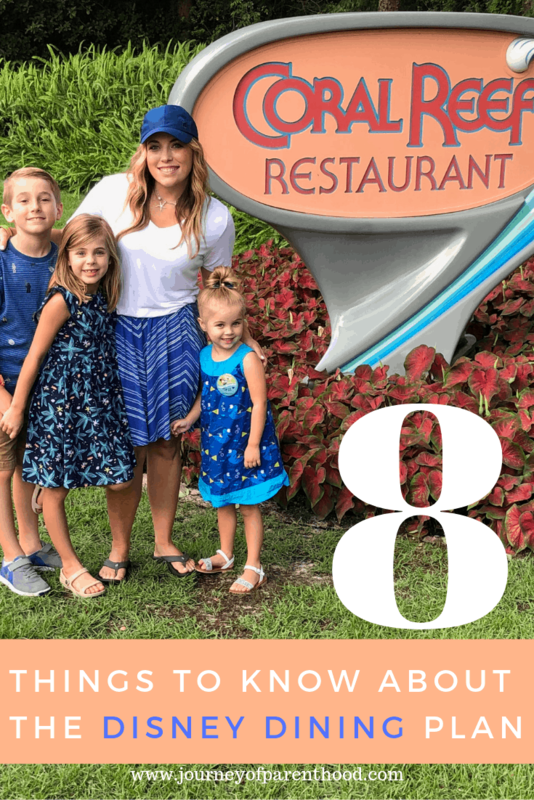 – More on this below, but book your trip with a Travel Agent who specializes in Disney who can help you make the most of every single dining plan credit and will help you utilize your time and money well. It’s free help, so you should take advantage of it. This is probably the question I get asked the very most about the dining plan… is it worth it? Like Emily, I REALLY love a good deal. My family lives on a tight budget and we really plan well and try to be good stewards of every dollar. Let me start by saying this: you can definitely eat for less money than what you spend on the dining plan. You will have to be very careful, and plan very well, and probably bring some things from home like sandwiches and breakfast items, but you can definitely eat for cheaper than buying the dining plan. That being said, I don’t think you could eat the exact same things as you would, and pay out of pocket for the same amount of money as what you spend on the dining plan. I think you would end up spending more if you compared dollar for dollar. What really makes it worth it to me, is that when I’m on vacation, I don’t want to have to worry about my budget. When I use the Dining Plan, it’s already paid for and planned out. I can just scan my magic band and not worry about any dollar signs or going over budget. It has more of an “all-inclusive” feel that makes me feel like I’m on vacation. One more thing to note as far as getting the most value out of your dining plan is making sure you book your trip with enough time to get the table service reservations you want. You are able to make Table Service reservations 180 days in advance of your trip and most of the popular ones get snatched up really quickly. So if you are planning a last minute WDW trip, I don’t think the dining plan would be worth it for you because you likely wouldn’t get the reservations you would want to make it worth it. Most people don’t know that using a travel agent is FREE when you book through them. That’s a LOT of resources and experience and training at your disposal for free. Specifically with dining, when I am your travel agent, I will help you make sure you understand the dining plan, I will wake up at 5:00am when your dining reservation window opens to make sure you get the reservations you want the most, and help you make sure you are getting the best value out of all of your credits. If you have already booked your Disney trip, but are really needing planning or Dining help, feel free to contact me with questions and we can see what we can work out! Carrie is a travel agent with Key to the World Travel: a full-service travel agency specializing in Disney Destinations. She LOVES planning magical vacations to the happiest place on earth and always has a countdown to the next time she gets to go back. 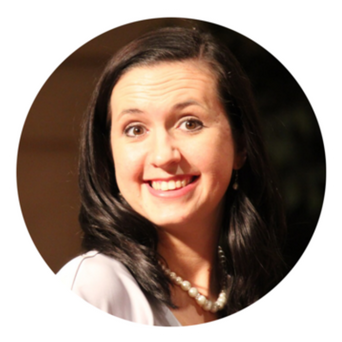 Check out her travel site Travel By Sisters or email her at carrie.wiley@keytotheworldtravel.com . Are you planning a Disney vacation? Be sure to check out our rental home – SO MUCH BETTER than staying at the low budget Disney resorts and CHEAPER, BIGGER and CLOSER to the actual parks! You can see more here and see about the discount we offer to blog readers! Touring Plans is hands-down my favorite tool for planning ALL of my Disney trips. With their site, you can see predicted crowd levels and plan your day to avoid waiting in lines. You can learn more here! When planning a Disney trip is can be SO overwhelming! Thankfully a friend of mine created an awesome 28 page printable Disney planning guide! You can see more about it and purchase it here. We really toyed with this and ended up deciding not to do it. 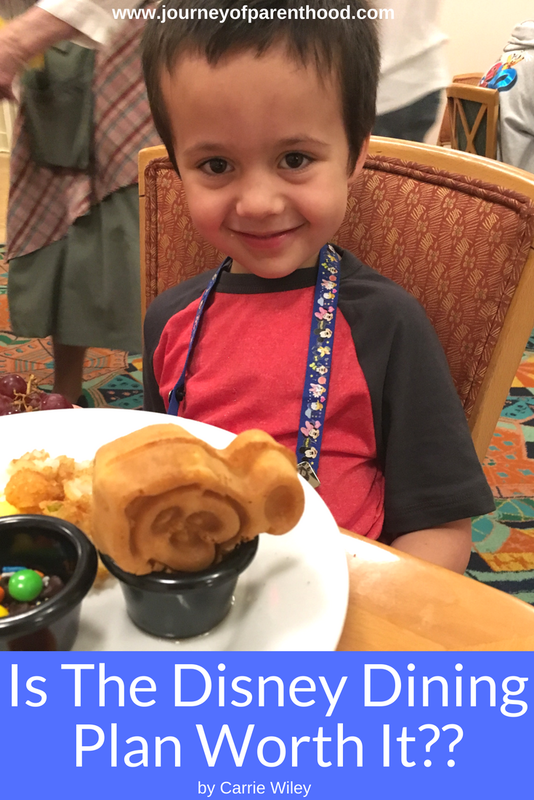 We used amazon prime now and ate our breakfast in the hotel, brought our lunch in to the parks and then did eat dinner either at the hotel or in the parks. We found it was significantly cheaper then the dining plan. But for us we did no dining reservations and did not regret it. But my girls are not really super into the characters and enjoyed being more flexible then having set plans. I did order special food from prime now, foods that normally wouldn’t be offered as often ( nature’s own pop tarts, special cereal, etc) so that it was a treat. I also ordered from the kids menu options 3x for dinner or my oldest daughter and I shared meals. If we were bigger eaters and trying Disney food was important to us ( it was not at all) the dining plan would be nice. Most travel agents are free but some are not. I was shocked when I reached out to a blogger who advertises as a Disney expert and discovered that she charges quite a bit. I do 100% which people knew that they really should be free!! !